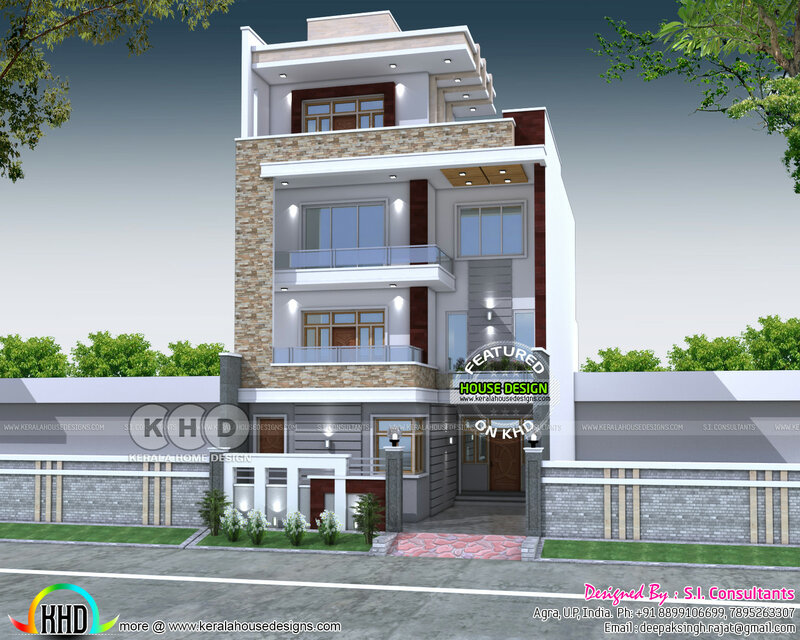 5570 square feet (517 square meter) (619 square yard) 6 bedroom flat roof 3 storied contemporary architecture home with lift. Design provided by S.I. Consultants, Agra, Uttar Pradesh, India. 0 comments on "Independent House with Lift"